A tale of Christian martyrdom set in prison cell and secret sect meeting, not to mention an authoritarian pagan court, is an unlikely choice for a St. Valentine’s Day date, yet for a depiction of the exalted state into which love can transport one, Handel fits the bill very well. Set in Antioch during the time of Diocletian’s persecutions, Theodora treats the story of a Christian noblewoman condemned to serving in a Roman brothel for refusing to join in pagan festivities. For love, Didymus, a Roman soldier helps her escape. When he is condemned to death she offers her life for his, and ecstatically they die together. Although violence against women has always been a good topic for a plot - and in 1750 when Theodora was first performed, Richardson’s Pamela was still on the bestseller list - the oratorio was not popular with London audiences, closed after only a few performances and was not successfully revived until recent years. From the opening bars, martial but not heavy, beautifully paced by conductor Alexander Weimann, it was clear that this massive group of nearly 70 musicians would give Handel’s masterpiece the kind of performance it deserves. Weimann marshalled the combined forces of The Pacific Baroque Orchestra and the Vancouver Cantata Singers with formidable elegance. Precision, clarity of line, clean phrasing were all on display, but above all his control of dynamics showed how carefully considered every note would be. In this he was finely supported by a stellar line-up of soloists. Matthew Brook as Valens, immediately set up the plot with a strong portrayal of an efficient and ruthless governor. His opening air, “Racks, gibbets, sword and fire”, was coldly intense and introduced a mood of pervasive terror that reigned to the end. Zachary Wilder thrilled in his florid showpieces, negotiating them with apparent ease. In the character of Septimius, a compassionate but ‘heathen’ Roman soldier, he might have been less assertive, but in fact this soldierly confidence nicely balanced the steadfast warmth of Irene, ‘a Christian’ as the text labels her. Krisztina Szabo’s Irene was quite simply splendid. She has a rich, complex contralto capable of subtle changes of colour and crystal-clear diction. Warm, intense, intelligent and deeply emotional, hers was a performance to treasure. In the title role, Nathalie Paulin’s pure and resolute soprano was perfect for this determined devotee. “Fond, flattering world, adieu”, her first air, nun-like in its calm resignation, was followed by one of the most beautiful in the oratorio, “Angels, ever bright and fair” sung as Septimius carries her off. Neither costumes nor action were necessary to understand her mystic certainties. In her duets with Didymus (alto Lawrence Zazzo) real warmth flowed between them. Zazzo himself has a voice of great beauty allied with strength. He developed a character of strong moral force and showed equally strong musical intelligence, especially in the repeats of his da capo arias, where he added layers of baroque ornamentation to deepen emotion and complexity, not to be mere decoration. 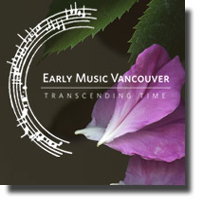 The Vancouver Cantata Singers, well-prepared by Paula Kremer, their artistic director, played two opposing choruses, as ‘Heathens’ and ‘Christians’. As the latter, the beauty of their tone, their clean diction and delicate phrasing translated Handel’s rich writing into contemplative fervour. To my mind, they could have been a little jollier as the heathen acolytes of Flora and Venus. The Pacific Baroque Orchestra playing on period instruments was no less persuasive. Continuo was provided by Konstantin Bozhinov on lute, Michael Jarvis (organ), Natalie Mackie (violone) and Weimann on harpsichord. Soile Stratkauskas’s flute in the brief “Symphony” of Act II was particularly memorable. However, the overall success of the evening must belong to Alexander Weimann. His cuts to the very long score were judicious (though I missed the messenger’s information in Act III) but his grasp of the pattern and movement of the work as a whole as shown in the pacing and interaction of colour and dynamic imparted an aura of controlled serenity, regardless of the sometimes violent actions contained within.